Osprey backpacks consistently rank as one of the top backpacks for hiking, backpacking, and everyday use. Osprey has always been synonymous with quality. Since the company was founded in 1974, every single Osprey product design has been inspected and scrutinized for quality by owner and founder Mike Pfotenhauer. The Osprey company began as a small retail shop in Mike’s rented home in Santa Cruz, where backpackers and travelers traveled near and far by word-of-mouth to get measured for a custom-fit, made-to-order packs constructed by Mike himself over several days. In 1987, the demand grew and Osprey started selling wholesale and moved their operations to Dolores, Colorado, a small town of 864 people. Some of the first sewers of Osprey packs were women from the nearby Navajo reservation. In 2003 Osprey moved all of its production to Ho Chi Minh City, Vietnam. Mike and family lived in Vietnam for four years to ensure production was running smoothly and the quality of each product met its high standards. Osprey celebrated its 35th anniversary in 2009 and launched its “All Mighty Guarantee” that matches the robust lifetime warranties of outdoor legends like L.L. Bean and Eddie Bauer. Every Osprey product is backed with a lifetime warranty or if it can’t be repair then they will replace it for free. 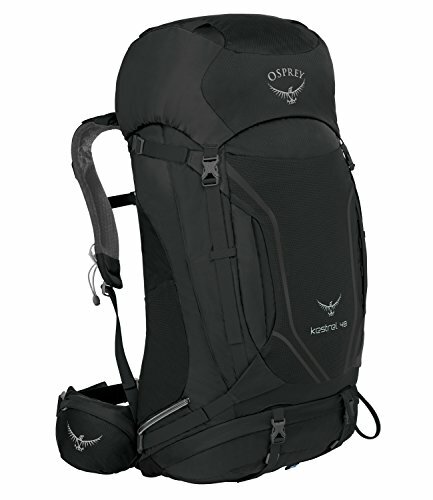 Osprey backpacks are known for their quality and the Kestrel 48 backpack is no exception. The Kestrel 48 Backpack is the perfect versatile backpack that will meet all your needs from the mountains to the beach to the airplane. The 48-liter pack can carry about 35 pounds worth of camping, hiking, and travel gear in its main interior space and multiple pockets. The Airscape back panel provides plenty of support for even the heaviest of loads and allows air to circulate and keep you cool. Kestrel’s external pockets and loops provide additional storage and places to stash your sleeping bag and poles. The Kestrel 48 Backpack will be the only backpack you need for your adventures near and far. 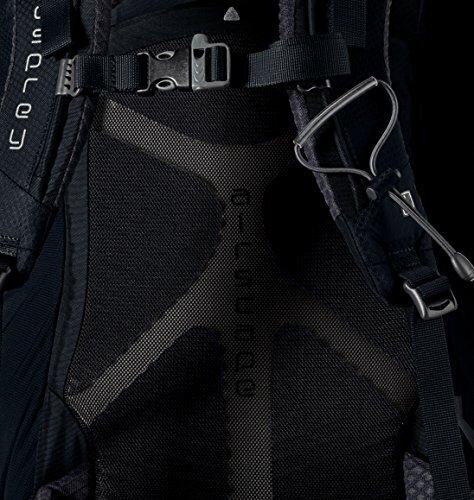 Just like sports teams, people are loyal to their backpack brands and Osprey owners are no different. Once you go Osprey you won’t go back! Osprey packs are made to last and if they don’t, you can send yours back for repairs or replacement. 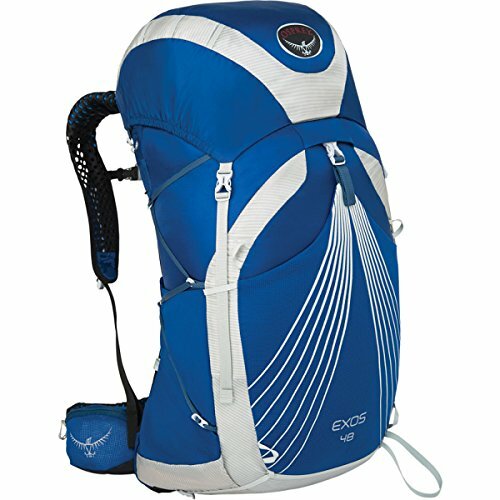 It’s not uncommon to see hikers out on the trails with decades old Osprey packs. The Kestrel 48 Backpack is a good size for most hikers and travelers. If you’re looking for a pack that will hold more than a weeks worth of clothes and gear then you’ll want to look elsewhere as the Kestrel 48 is best for weekend getaways. One of the best features that many hikers love is the adjustable torso length. Just peel the back, adjust it to where it feels right and stick it back. Additionally, the harness and waist belt can be easily adjusted for a semi-custom fit. However, if your waist is smaller than 32 inches you may find the hip belt a little too big. 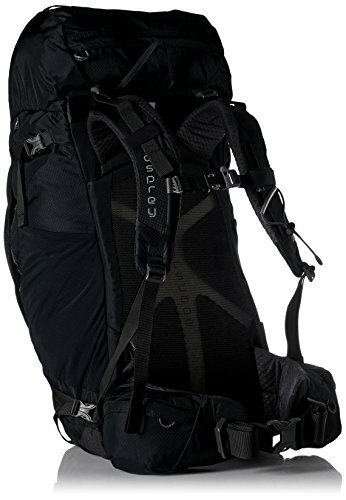 Due to the smaller size of the pack, the shoulder straps and hip belt are not as padded as some of the larger overnight Osprey packs, but most hikers find the straps comfortable nonetheless. The Kestrel 48 Backpack is loaded with multiple pockets for storage. You’ll find one front stretch pocket, two side stretch pockets, one side zippered pocket and two hip-belt zippered pockets externally on the pack. Internally, there is one upper-lid zip mesh pocket. One top of all the external and internal pockets, you have one top pocket in the lip of the pack for a total of eight different pocket options. While some hikers might be excited about the extra pockets and the separate sleeping bag compartment, others find the pockets to be hard to reach and use when the main compartment is stuffed with gear. When fully loaded the main compartment is prone to barreling leaving little room for the side stretch pockets to, well, stretch out for storage. The main compartment contains a water bladder sleeve for your reservoir if you hike with one. Some hikers recommend pairing the Kestrel 48 Backpack with Osprey’s hard-backed Hydraform water reservoir, especially if you have a lot of gear stuffed into your pack creating the barrel effect. 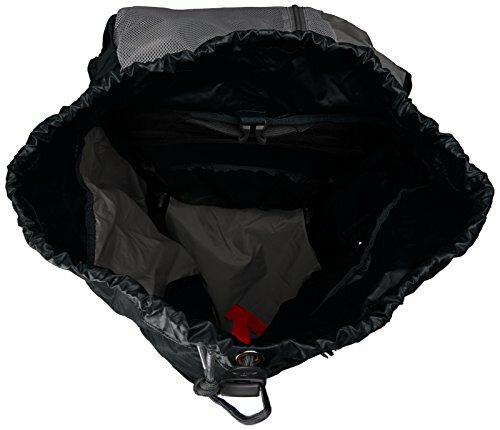 The Kestrel 48 Backpack comes with its own integrated rain cover that should meet most people’s needs. If you live in areas prone to very heavy rainfalls, like the Pacific North West, you might want to consider purchasing another rain cover or pack your gear in trash bags just in case. No one likes wet socks! The hip belt contains two small pockets that Osprey claims can fit a digital camera and snacks. You might be able to fit a GoPro without the housing in the pocket, but don’t expect to fit most cameras in these pockets. They are just too small and a wee bit awkward to unzip. They are great however for energy bars, snacks, and your keys. Don’t worry; these pockets are zippered so you won’t lose your keys along the way. While most people use the Kestrel 48 Backpack for day hiking or a long weekend trip, the pack has additional features for ice climbing and trekking. Osprey’s Stow-On-The-Go trekking pole attachment is awesome! Additionally, the Kestrel 48 Backpack has external loops and front daisies with bungee tie-offs giving you plenty of options to stash equipment and gear. As a bonus, you’ll be able to stash this pack in most overhead bins on planes so no more check baggage fees! Osprey is a legend amongst the backpacking community. The company stands for quality and it’s backed by their lifetime warranty making it one of the best-selling features of any Osprey backpack. The Kestrel 48 Backpack is an all-around great backpack for everyday or long weekend hiking. You should have no problem stuffing the backpack with everything you need for 3-4 days. Just be careful because the pack is prone to barreling leaving the front pockets useless. The Kestrel 48 Backpack retails for $179.95 (check this listing for the latest live prices), but you can often snag it on a sale through online retailers. For the price point, the construction, and the lifetime guarantee, you can’ t beat this pack for your everyday hiking needs. It’s a buy-in our books!